Slice the green pepper, onion and green beans into bite-sized strips/pieces. Add the pasta, green pepper, onions, green beans, salt, dried mixed herbs and olive oil/butter to a pot of boiling water. Follow packet instructions for cooking time. Drain the pasta. stir through the tomato paste, cream, chillies and garlic. Oh yummy! This looks like exactly what I want for lunch! I like to spice up things but a very tiny bit, only, my husband gets serious problems if he eats any. Love spicy food, it doesn't always love me but I can't get enough of something if it has that nice burn going on. 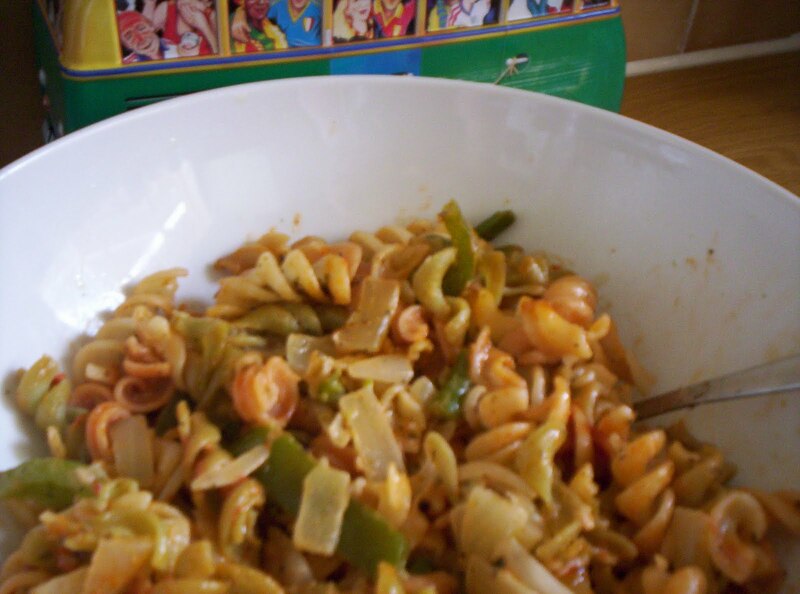 Thanks for your veggie pasta recipe to try. I won't go too far with the heat, I am the only fan in my house. Thanks everyone for your visit/comments!